The purpose of this systematic literature review was to develop recommendations for the assessment of spine-related complaints in medically underserved areas with limited resources. 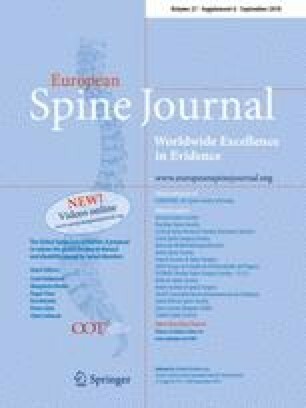 We conducted a systematic review and best evidence synthesis of guidelines on the assessment of spine-related complaints. Independent reviewers critically appraised eligible guidelines using the Appraisal of Guidelines for Research and Evaluation-II criteria. Low risk of bias clinical practice guidelines was used to develop recommendations. In accordance with the mandate of the Global Spinal Care Initiative (GSCI), recommendations were selected that could be applied to medically underserved areas and low- and middle-income countries by considering the limited access and costs of diagnostic technologies. We screened 3069 citations; 20 guidelines were eligible for critical appraisal. We used 13 that had a low risk of bias that targeted neck and back pain. When assessing patients with spine-related complaints in medically underserved areas and low- and middle-income countries, we recommend that clinicians should: (1) take a clinical history to determine signs or symptoms suggesting serious pathology (red flags) and psychological factors (yellow flags); (2) perform a physical examination (musculoskeletal and neurological); (3) do not routinely obtain diagnostic imaging; (4) obtain diagnostic imaging and/or laboratory tests when serious pathologies are suspected, and/or presence of progressive neurologic deficits, and/or disabling persistent pain; (5) do not perform electromyography or nerve conduction studies for diagnosis of intervertebral disc disease with radiculopathy; and (6) do not perform discography for the assessment of spinal disorders. This information can be used to inform the GSCI care pathway and model of care. The online version of this article ( https://doi.org/10.1007/s00586-017-5446-3) contains supplementary material, which is available to authorized users. We thank Leslie Verville and Geoff Outerbridge for their contributions to this paper. MN declares funding from Skoll Foundation and NCMIC Foundation through World Spine Care; Co-Chair, World Spine Care Research Committee. Palladian Health, Clinical Policy Advisory Board member. Book Royalties Wolters Kluwer and Springer. Honoraria for speaking at research method courses. KR declares funding to UOIT from Skoll Foundation, NCMIC Foundation through World Spine Care. PT declares no COI. HY declares funding to UOIT from Skoll Foundation, NCMIC Foundation through World Spine Care. SH declares funding to UOIT from Skoll Foundation, NCMIC Foundation through World Spine Care. Clinical Policy Advisory Board and stock holder, Palladian Health. Advisory Board, SpineHealth.com. Book Royalties, McGraw Hill. Travel expense reimbursement—CMCC Board. OB declares he is a consultant for: Pacira Pharmaceuticals, Inc. Palladian Health. Travel expenses: World Spine Care. Stipend: World Spine Care. PC is funded by a Canada Research Chair in Disability Prevention and Rehabilitation at the University of Ontario Institute of Technology, and declares funding to UOIT from Skoll Foundation, NCMIC Foundation through World Spine Care. Canadian Institutes of Health Research Canada. Research Chair Ontario Ministry of Finance. Financial Services Commission of Ontario. Ontario Trillium Foundation, ELIB Mitac. Fond de Recherche and Sante du Quebec. CT declares no COI. MM declares no COI. RM declares no COI. CC declares no COI. RC declares funding from AHRQ to conduct systematic reviews on treatments for low back pain within last 2 years. Honoraria for speaking at numerous meetings of professional societies and non-profit groups on topics related to low back pain (no industry sponsored talks). EAc declares grants: Depuy Synthes Spine, Medtronic; Speaker’s bureau: AOSpine, Zimmer Biomet. EH declares he is a consultant for: RAND Corporation; EBSCO Information Services; Southern California University of Health Sciences; Western University of Health Sciences Data and Safety Monitoring Committee. Chair, Palmer Center for Chiropractic Research. Research Committee Co-chair, World Spine Care. NL declares no COI. JD declares no COI. ATV declares funding to UOIT from Skoll Foundation, NCMIC Foundation through World Spine Care. ES declares funding from Başkent University Research Fund.